Radial Water Sculptures are the perfect addition to any garden or outdoor area and will produce soothing, rippling water effects and tranquil sounds. Radial Water Sculptures are a stunning way of enhancing your outdoor living space by adding the soothing sounds of water movement. These hand-crafted water features can act as a eye-catching centrepiece on a patio, garden landscape or courtyard. Each piece has been painstakingly designed and sculpted to enhance the natural Ebb & Flow of water movement, thus creating pulsing wavelets and spiralling motions. 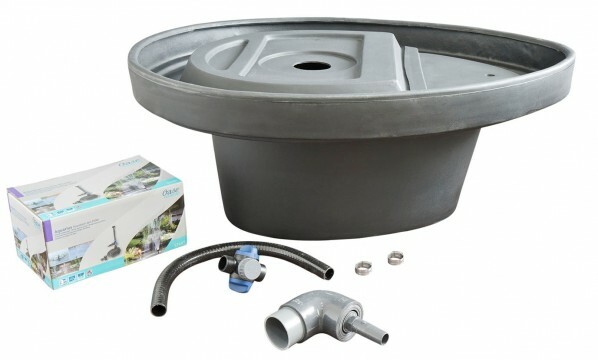 All of our Radial Sculptures are supplied with Droplet Pebble Pool, Pump, 10 metres of mains electrical cable and pump connection kit and are simple to install.